While in Mildura visiting Henderson College, the local paper showed up! Well, a reporter and a photographer did. They interviewed me and the class and took a pic of us. Here is the article. Click on the pic to read it. 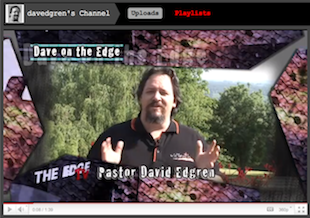 The final book in The Adventures in the Bible trilogy by Pastor David Edgren has recently been released. The three books form a “Christian faith journey” for primary aged children and their families. The first book, The Serpent Scroll, examines the Great Controversy between good and evil. The second book, The Lamb Scroll, models the wisdom of choosing to follow God and choosing to be baptised. The final book, The Kingdom Scroll, explores the joy of living as a resident of the Kingdom of God. The Adventure in the Bible trilogy, and David Edgren’s other books, can be found in your local ABC or online at the adventistbookcenter.com website. As a storyteller and author my primary purpose is to help people take the next step on their journey. This step may be a faith based step, or a values based step - or both! My goal is to present each story with a clear before/after scenario that helps the participant examine where they are standing and where they could be next, if intentional about their steps. Life is a journey that will be made - intentional or not. We all grow older. But, not all of us grow wiser. This maturity comes from consciously choosing, when we get to the proverbial split in the trail, the healthiest route. Most times, this decision is made from the subconscious place within yourself that has been developed by all the experiences and choices in your past. These decisions are usually only noticed in hindsight. Occasionally, one of these life shaping decisions comes at a time or place in life when we are actually aware enough and interested enough to process the choice intentionally. It is then that we think about the process and consider the shaping which is taking place. As a storyteller, it is important to recognise this reality. All stories have the potential to influence the participant toward wise choices. But, rarely is this influence recognised by the listener or reader. This places a huge responsibility on the one wielding the chisel of story. You must be intentional in your strike. And you must have the good of the listener at heart. If love is not the foundation of your story building, you risk causing damage. When the book is closed and the storyteller is finished, the story remains, carving its truth into the listener. Stories come from our heart. We must know who we are: our giftedness, our core purpose, our storytelling style and our desired outcome. Without this knowledge, we are loose cannons firing without aim or intent. Without this self knowledge, our stories will still hit hearts and may cause lasting damage. Story is power. Storyteller, know yourself! This series of studies is, really, for people like me: born, raised and inoculated in the church. I was raised as a Seventh-day Adventist and served as an Adventist Pastor for more than a decade. When I asked to be baptised (as a 12 year old) I was taken through a series of studies which explored the fundamental teachings of our church. These were presented as fact and called statements of faith. I understood faith to primarily be agreement to facts. I agreed. Repeatedly. And, after a few months of agreement, I was baptised. Now, more than three decades later, I realise many people with a similar story to mine have left these fundamentals alone since their baptism. "I agreed. I still agree. I still have faith." This is a prevalent attitude. It was mine until I was in my thirties and started exploring the meaning of faith. I discovered that "agreeing" is only one small part of faith. Faith, I realised after much study and prayer, is a journey not a destination. Faith is the head, heart, hands and horizons of life. Faith is an experience of personal, corporate and divine interaction. Faith is a discussion. Faith is joy. Faith is love. Faith is beloving more than believing. Faith is story embedded and embodied. Faith is more. Always more. I wrote 28 Stories to speak to people like me and to empower them to talk to each other. Each of the fundamentals ("Funny-mentals" is what I call them when doing Bible studies with teens. If we only "agree" to fundamentals we become funny-mentals!) 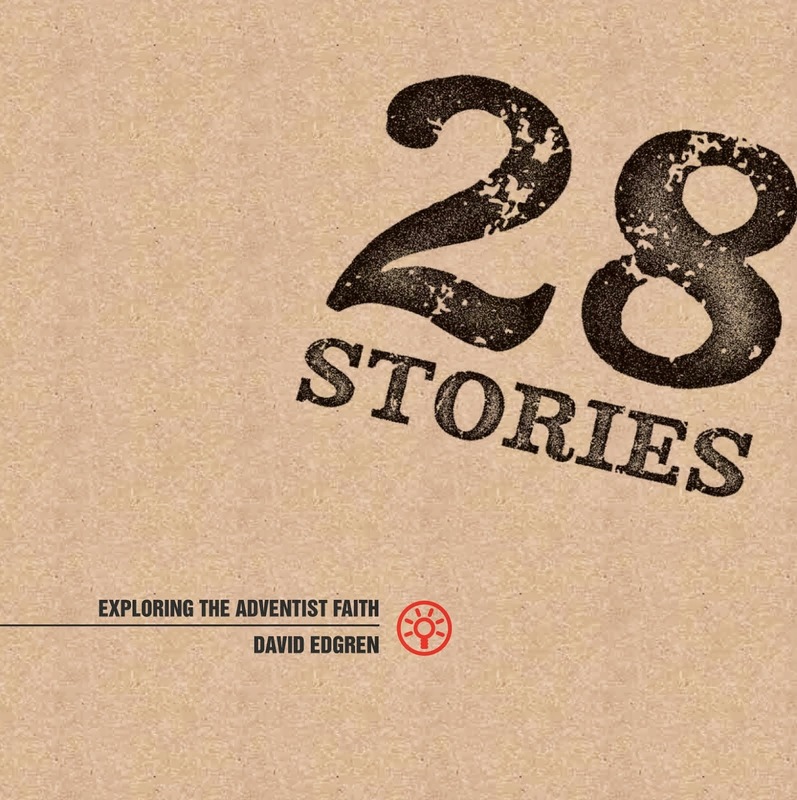 is explored through story — Biblical stories revisited and personal stories shared — then through discussion. Each study journals through the areas of head, heart, hands and horizon. Hopefully, on the other side — after the discussion — (if you're like me) you'll feel redeemed and reclaimed in your faith! In my children's trilogy, I tried to be both intentional and respectful. It was my goal to teach in a way that leads children (and parents who read the books to their children) through a series of faith development steps. It is impossible that every teaching aspect of these stories will meet each reader where they are. Instead, as the reader explores the books, they will find themselves, at times, in the pages. As the story characters reach a place, decision or question the reader is currently facing the story informs the reader's reality. This is how all story works. That which is beneficial now, works now. That which is not beneficial now is stored away for future application. It is here where story truly shines. No other form of learning comes close. Stories are retained and reemerge when the listener is in need of their wisdom. A story can speak to you decades after you hear it! Many faith-based authors have realised this and have produced didactic works to explore their teaching through story. But few have done this for children. It's hard work. And lots of fun! In "The Serpent Scroll" the reader explores the Great Controversy between good and evil. The story-line of the book teaches Bible stories to empower children and families to discuss the Biblical theme of Sin and Salvation. As we mature in our view of the Great Controversy we grow in the confidence that we are not alone. We have an absolutely huge Savior on the path with us. He is facing the evils of the world. He faced Satan on the cross and faces our devils daily alongside us. We are in the loving embrace of the greatest force in the universe and, from this desperately safe place, we are unable to resist embracing others. We want them to enter the safety of the divine embrace as well. The second book "The Lamb Scroll" explores the theme of following in Faith. For children, this discipleship happens naturally by living with faith-centred parents. They watch us! The Bible stories in this book focus on disciples (be they children or young believers) growing into the likeness of their parents in faith and choosing to fill the footprints left ahead of them with their own young feet. The Lamb metaphor is used extensively in the Bible. In the childhood of our faith, we are transfixed by the death of the Lamb. The sacrifice made for sin on every altar in the Old Testament and the Cross in the New Testament proclaims the wages of sin - Death. For Christians, one death is sufficient - the Lamb in Christ took our place in death. Now we die daily to all that separates us from God. This results in a sense of personal growth as we become more like Christ, changing from glory to glory. As a maturing believer, the focus shifts. The sacrifice was made. Jesus' death has provided a freedom to move into life. He truly brought life and life to the full. Our focus can now be on the community growth that happens when we fully join the life sharing movement that exudes that spirit of life! My favorite of the three, "The Kingdom Scroll" is the final book in the series. Kingdom is a big thing in the Bible. The stories in this book take kids through various kingdoms in the Bible with the goal of revealing the principles of living in the Kingdom of Christ today through our actions and words. When shopping with my then 10 year old daughter, she said, "Dad I'm not super popular, but I know how to have friends." I was intrigued and asked her strategy. "Well, I just treat them like I want them to treat me. That usually works." Yes, Rachael, yes is does! The Kingdom of God is alive and well in her little heart! Of the three books, The Kingdom Scroll is the most transparent in it's teaching. I found the moving from the insular "When I get into the Kingdom" mentality of fortress Christianity into the "When the Kingdom gets into me" compassion of true Christlike living, to be a natural structure for the book. This is also the stage of transitional thinking I teach the most in my preaching. As mature Christians, if we have a heart for God we will have a heart for the world. It's that simple, really! It is amazing how resistant the fortress mentality is to change. I have never had a church member, young or old, argue with me when I modernize the story of the Good Samaritan and finish with: "Unless we are helping the broken people we stumble across, we are not truly dwelling in the Kingdom of God." All heads nod. It's a nobrainer! It is the sensible, honest, factual truth. But, what about our hearts? What about our hands? What about our horizons? How do we get it out of our heads, into our hearts, onto our hands and out to our world from horizon to horizon? That takes love. A whole lotta love... This, more than any other reason, is why faith is a journey. It's all about the steps we take. Our direction, and ultimately our destination, is decided by every tiny step. And the direction of those steps is set by the bearing of our compass(ion).